Country-pop singer Carrie Underwood is supporting new album Blown Away, which drops tomorrow. Steve Martin is playing the banjo with the Steep Canyon Rangers to promote Nobody Knows You. Andrew Bird is plugging new album Break It Yourself. Rage Against The Machine and Audioslave guitarist Tom Morello is playing “Save The Hammer For The Man” with Ben Harper. Columbian “electro-tropical” group Bomba Estereo is performing. Rerun from December 5. 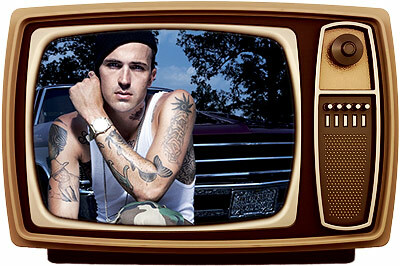 Yelawolf did “Let’s Roll” with Travis Barker from major-label debut LP Radioactive.